The Chauvinistic Blog is a new blog that I have started that is dedicated to all things Napoleonic. Our fabulous little group of wargamers began in 2010 and launched into a programme of games based on the battles of the later Napoleonic years, in line with the bicentennial. Napoleonic remains a large focus for us as a group but, since 2015, games of 'periods other than Napoleonics' have been played with an increasing frequency. 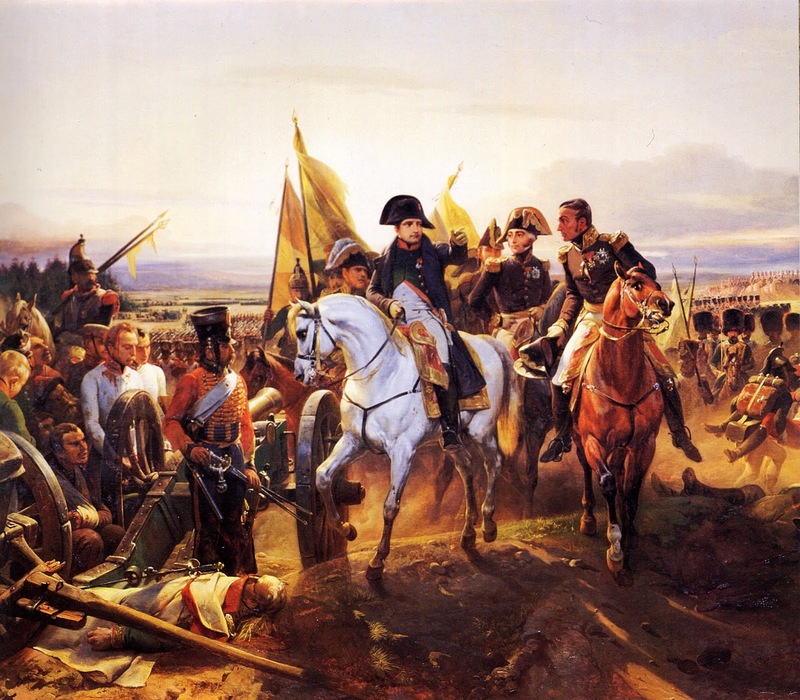 Since the Napoleonic era is my main reason for wargaming, I wanted to indulge my passion and have an adjunct blog that his dedicated solely to things Napoleonic, in the broadest sense of the hobby. Reports of Napoleonic games will appear either on this blog or that, with links between them, but other 'things Napoleonic', be they book reviews, interesting articles, points of discussion, links to items on other blogs or websites will appear on The Chauvinistic Blog. So if, like me, you can't get enough Napoleonic, pay the blog a visit! Duly viewed, commented, unsure how to follow mate! Sorry Jeremy, just added the 'Followers' gadget. You can see that I have not set up a new blog for a while!